HJA bring you another stunning example just in from Japan, it’s in great condition throughout with subtle modifications perfect for road use. It is becoming increasingly rare to find Grade 4 non-accident examples such as this. 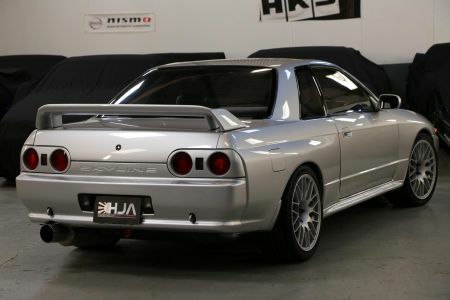 We have a team in Japan who are constantly scouting for only top end GTR’s for our stock, we check literally hundreds a month and only pick a handful that meet our standards. Bodywork is very clean and has to be seen to be appreciated with glowing paintwork and crisp lines. 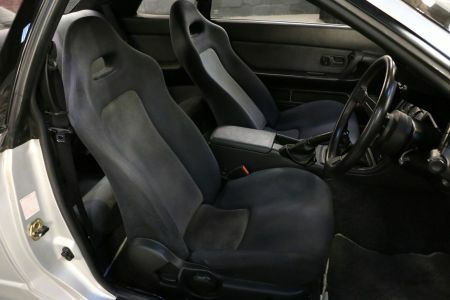 The underneath is superb as you can see from the pics, quite hard to believe that it’s 21 years old as it puts most newer cars to shame! 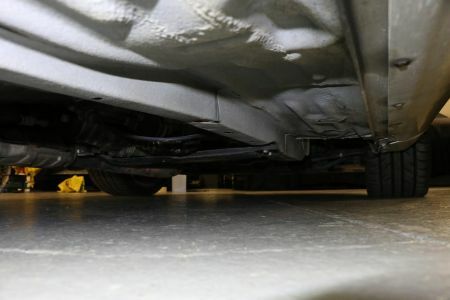 Another point to note is just how clean it is under the rear arches and spare wheel, those that are familiar with R32’s will know these are usually problem areas for rust. 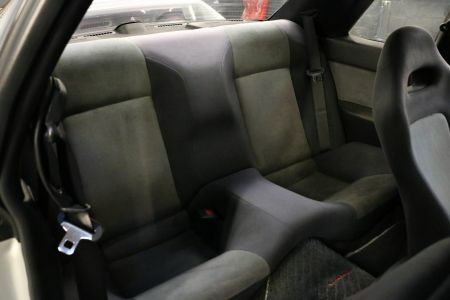 Interior is in fantastic condition with no real wear to the seats or carpets, all the interior plastic trims are also all in very good condition. 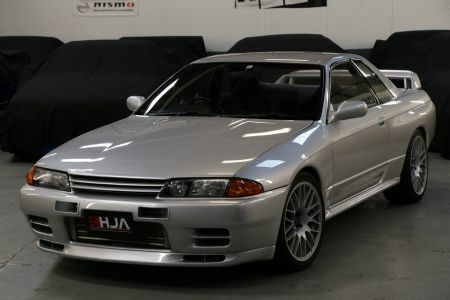 As you would expect from a GTR of this standard it really drives spot on, pulls strongly throughout the rev range, with perfect oil pressure and running temperatures. Gearbox is smooth and changes fluently into gears without any crunching. 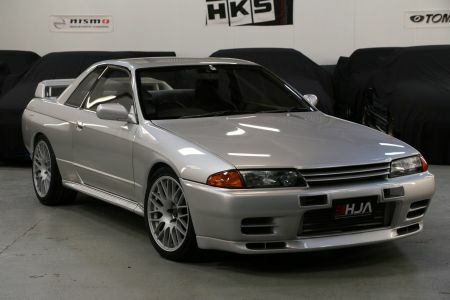 The HKS 2530 turbos provide a real punch and keep pulling till you let off. 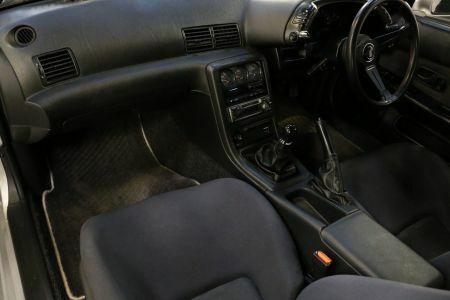 It also had a valid shaken before it left Japan; this means the car had passed the stringent Japanese testing which is a real testament to how well it has been maintained.